1. 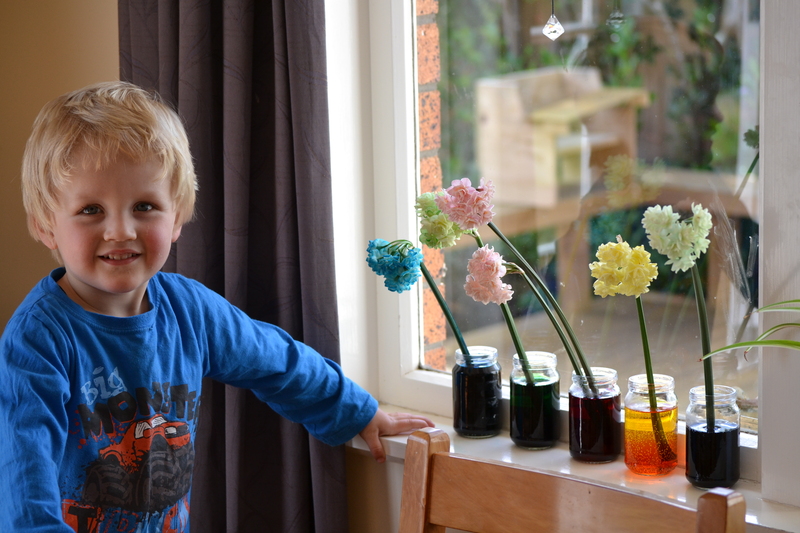 The pattern I used is an easy one, you can find it over here. I used only two colours… pink for the sole and white for the entire upper (Added bonus? Less sewing in of ends). Don’t make the band that goes across the top. 2. Make a pretty flower… like so: Make a magic circle and hdc into the circle 10 times- pull the circle tight and join with a ss. Next round, sc, 3dc into the first stitch, sc into the next stitch around. Repeat 5 times to form the first layer of petals. This round is made by working on the back of each petal; chain two and join with a ss to the opposite edge of first petal (creating a loop), continue creating ch 2 loops behind all petals. Finally create the layer of larger petals by sc, 5dc, sc into each ch 2 loop around. Fasten off and leave a long end to attach to front of slipper… butterfly buttons optional. 3. Make the all important ballerina ties by using a length of ribbon and threading them through the back of the slipper. Viola… pink and white cuteness!!! I am in pink and white cute heaven!! Most generous of you to post it. I have a gorgeous baby in mind for these and I will send photos when they are finished. These are gorgeous! I’d love to see them on some cute little baby legs! These are beautiful! 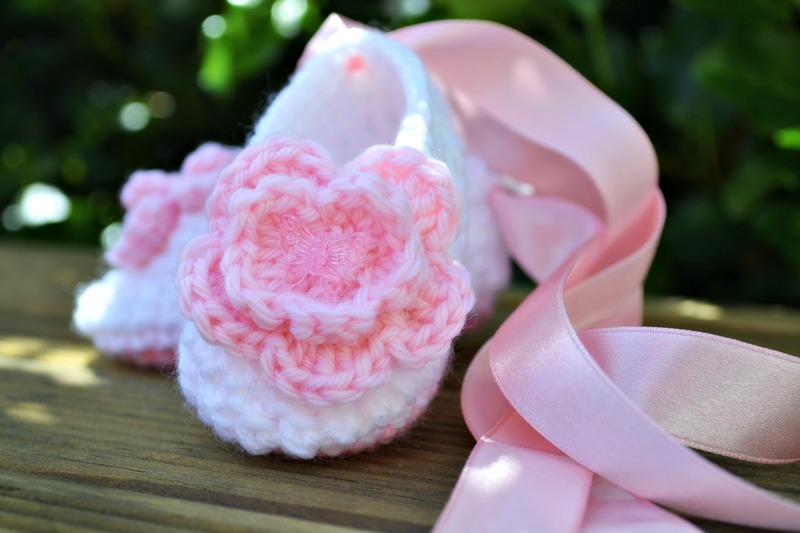 I’m patiently awaiting pregnancy news from my brother and his wife and can’t wait to make a pretty pair of slippers. Thanks for the inspiration! I love your blog and all your projects. These little slippers are the cutest! Keep it up. So sweet! I have a question…did you do the row of dc for the upper like the pattern or did you do 2 rows of sc? I can quite tell from your pictures. How long is the ribbon? Im sorry I cant remember, it was long enough to wrap twice around her ankles and tie a bow. Would you take an order for these? I love them…. My daughter is having a baby girl – IVY- due Sept. 18th. Would love to have them for her !!!!!! or would you possible know of someone ?? Thank you !!!! I feel so silly – obviously others have found it, but I cannot find this pattern. Can you help – please. 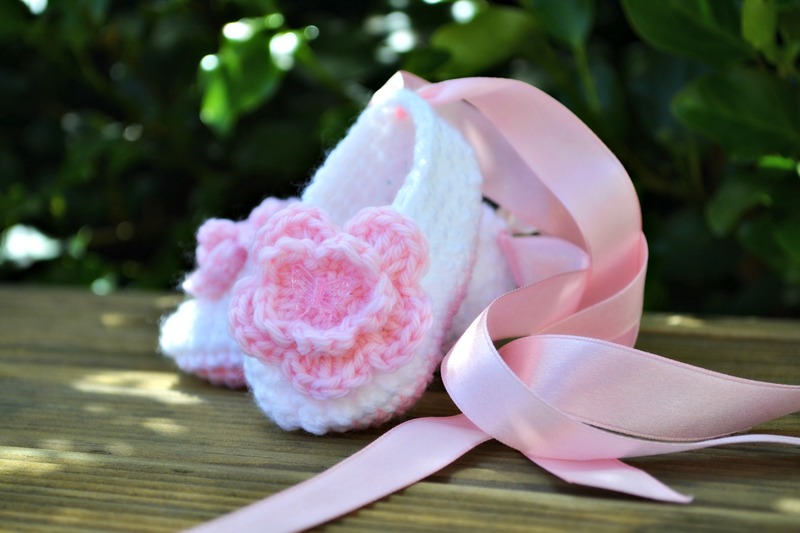 Am making booties for my granddaughter to be born in November, and absolutely fell in love with the ballerina slippers. Hopefully you will find the pattern – I made a pair for my granddaughter and was so pleased to see them on her little feet!! I am so grateful to Janette! 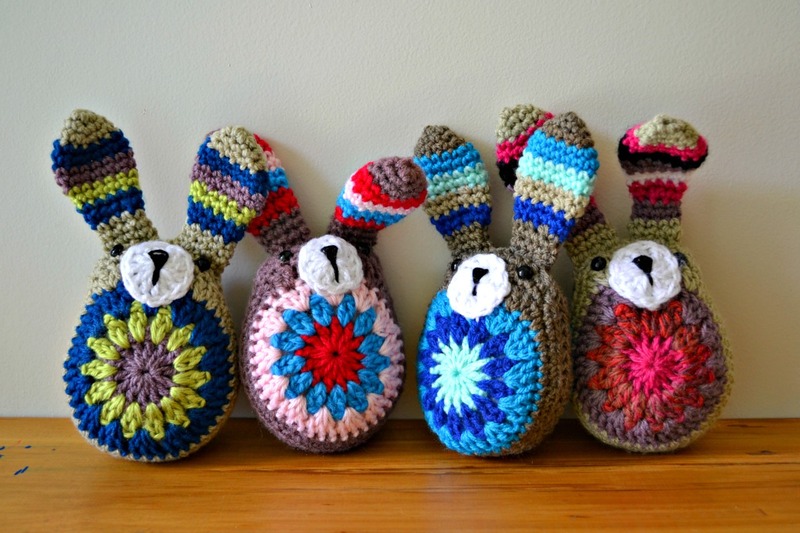 Love love love these little slippers would you be able to send me the pattern please. I would be so grateful as my daughter-in-law wants them for a keepsake box for their baby girl who was stillborn in March this year. Thank you soo much it would mean a lot.I await your reply. Regards Beryl. Thank you for the pattern. I’ll be making 2 pairs : one for my soon to be 11 month old granddaughter and an infant o air for my soon to be granddaughter in March 2014! Wonderful, I hope they turn out beautifully! I’m in love with this idea. So beautifully perfect. Thank you for sharing. Your neice is one lucky lady. Love the slippers and have made the little apple slippers several times and have the ballet slippers made. BUT I am having trouble with the flower. I see by picture how it should look but having trouble figuring out how you did it. Thanks Love all your patterns. ok thanks. Will check it out. Finely did the other one. Don’t know if it was right but it looks like yours. Real cute. Going to my new great grand daughter Love your patterns. Thanks again. Ok . This is probably a dumb question but How many times did you wrap the ribbon around leg. Around the front cross and Tye in back (or) back around front again and tye in front. ?Thanks These are so cute. I Love these ballerina booties but the link is taking me to the apple slippers. Can you direct me to the ballerina pattern? I would love to make these! Pingback: These 32 Crocheted Baby Accessories Will Look Adorable On Your Little One!